login for a 1 stop graphic service. As you can now place an order for both graphics and business supplies we will not only save you money we will provide a faster service and keep the delivery charges to a minimum. 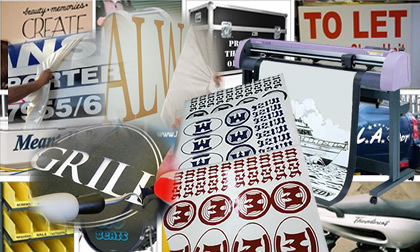 We are also able to offer a full colour lithography stationery screen sign panel and garment printing service for every media from plastic business cards, stationery invoices and leaflets to sign panels wallpapers canvases fabrics garments metal and plastic panels as well as a massive range of printed labels, self-adhesive vinyl fabrics and banners. As we offer such a wide range of products we are able to suppliment your order with a range of sign fixing and hardware supplies to help you install the the signage. As well as a complete online catalogue for safety signs, safety related and janitorial products, office equipment and our useful DIY supplies, road sign fixing and safety products. Search our massive catalogue of over 400,000 office signage and business related products and advertising solutions. With one click add products or services to your order tender or quote. Register to access the time saving private area. Login or register to allow 1 Stop Graphics will save time and costs dealing with your orders and future requirements. After you login you will be able to communicate with our designers and sales staff and deal with your job easily on line, via your mobile or email or Skype. Instantly price all printing jobs using our calculators, view your purchsing history and repeat previous orders or edit your estimates. You will also be able to request invoices and artwork stored on our server. From a business card to a multi page brochure we can design, create logos and print all types of business stationery and advertising literature. We stock a massive range labels and can print any bespoke label at any size on sheets or on the roll. We also print window stickers and pernament labels. 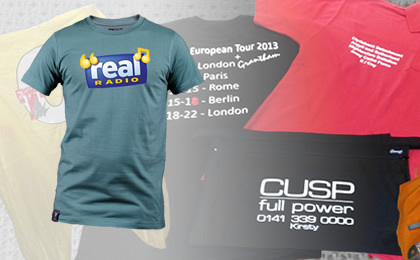 For corporate clothing we over print all types garments from T shirts to hi-vis security jackets. We also supply un printed clothes and footwear. To keep your company compliant we supply all types of fire exit signs, safety signs, safety labels, tapes, lock out tags, safety books and posters. Purchase all types of household, gardening, office and cleaning maintenance products including sign fixings and tools with a next day service. 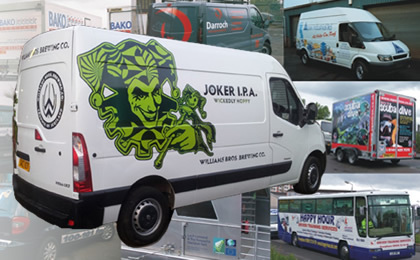 To assist you advertising on the road or to customise your vehicle we can supply all types of vinyl lettering, vinyl graphics and vehicle wraps. As digital printers we can print onto all types of materials including, plastic, aluminium, acrylic, PVC and foam boards and banners. 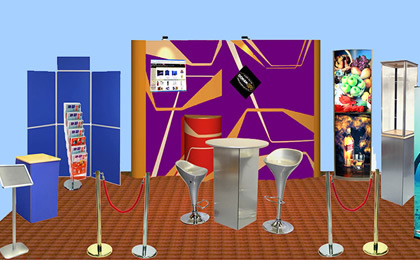 To improve your branding in store at exhibition or conference we can supply all types of exhibition display panels and display signs like poster displays. To assist with colour copying and duplicating documents, posters and short run leaflets we offer a online copying and laminating services. 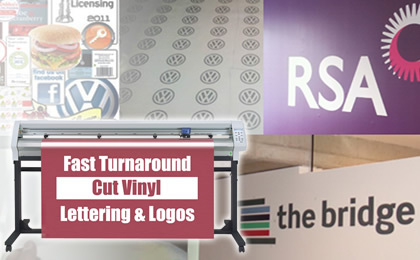 We can provide self-adhesive vinyl lettering and graphics for all purposes including vinyl wrapping for difficult sufaces services online. 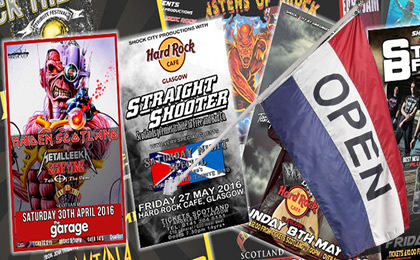 Whether you require a PVC banner, a back drop or custom printed fabrics, we can print onto all fabrics and clothing and offer fast delivery. We can print bespoke wall papers to make your place look great in addition to printing and supplying all types of window graphics an films. 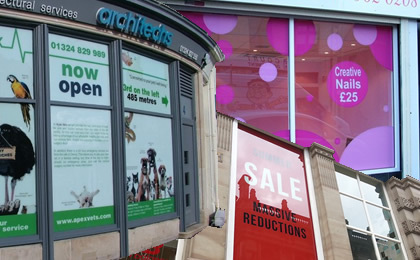 Order external display advertising solutions including wall and window vinyl graphics, display and fascia signs, vehicle vinyl, pre spaced vinyl lettering, printed banners and direct printing onto all types of materials from 1 mm plastic to perspex, aluminium etc. 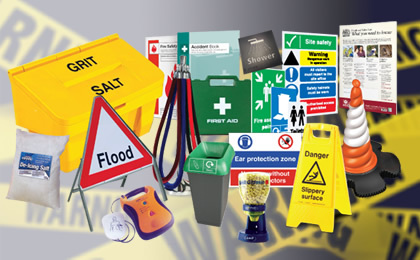 In addition to stocking the largest range of UK safety signs and sign fixings in the UK. As your 1 stop supplier we can offer you a superior service as you can monitor your orders and account and make significant savings by consolidating your orders. With the largest stock of safety signs on the UK we are able to supply or custim make a safety signs for every requirement. 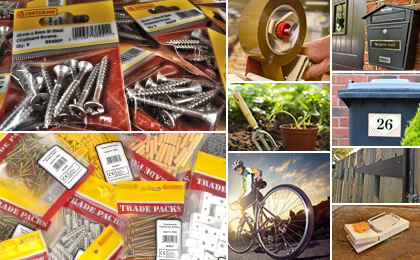 We also stock all the DIY sign fixings that you need as well as a massive range of office supplies. We are also able to provide all types of safety clothing and stock again a massive range of clothes including t shirts, polo shirts, jackets, trousers, head and footwear. Some of these garment can be over printed and we under take all types of garment printing. Your supplies will be sent using a fast next day courier service. 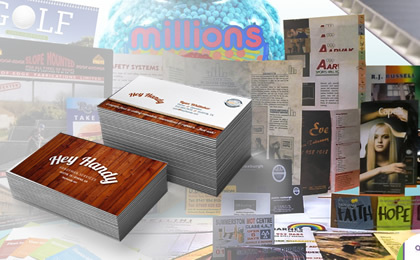 To take care of your stationery, printed literature and advertising needs we can design corporate identities and print all types of business stationery including business cards, ncr invoices and letterheads at evry low costs. We also design and print leaflets, brochures, labels, menus and folders at competitive rates and allow you to monitor you stock levels. We also split up a print job and sent it to your branches. We also print all types of internal and external labels including pricing and packaging labels. We would like you to become a regular client - register or call our sales staff on 0808 144 2926 . 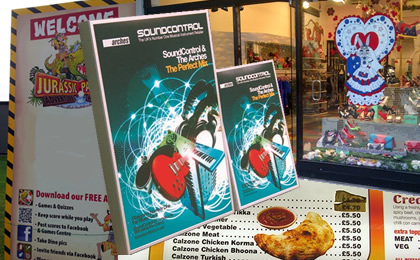 Since 1984, Double Image Designs Ltd founded by identical twin brothers have been supplying both small and large companies with a complete graphic design and printing service for stationery printing, leaflet, brochure and flyer printing as well as promotional incentives. 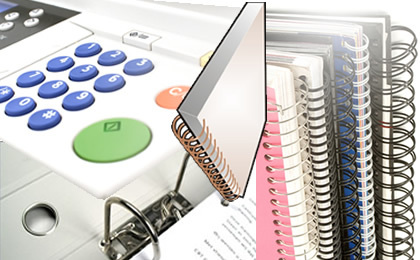 Whilst offering a online duplication, lamination and colour copying service. After registering with oursleves you will be able to build up quotations and orders for just about everything your business will need on one discounted order. Whether you require a digital, label, garment, lithography or screen prining you can be assure that we will ensure quaility printing on a fast turnaround. If you do not have to place different orders with different suppliers and use a competitive service like our own for all your business printing, signage and maintenance needs then our volume discount will allow you to make big savings.